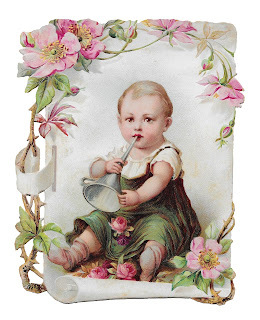 Today I've poste a lovely baby image created from a vintage Victorian scrap card. This beautiful vintage baby clip art has a wonderful flower frame border of wild, pink roses. 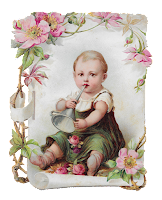 The border of the baby image also has a scroll design, which is even more interesting. The adorable baby is playing with a metal funnel as a toy horn. It's too adorable an image! 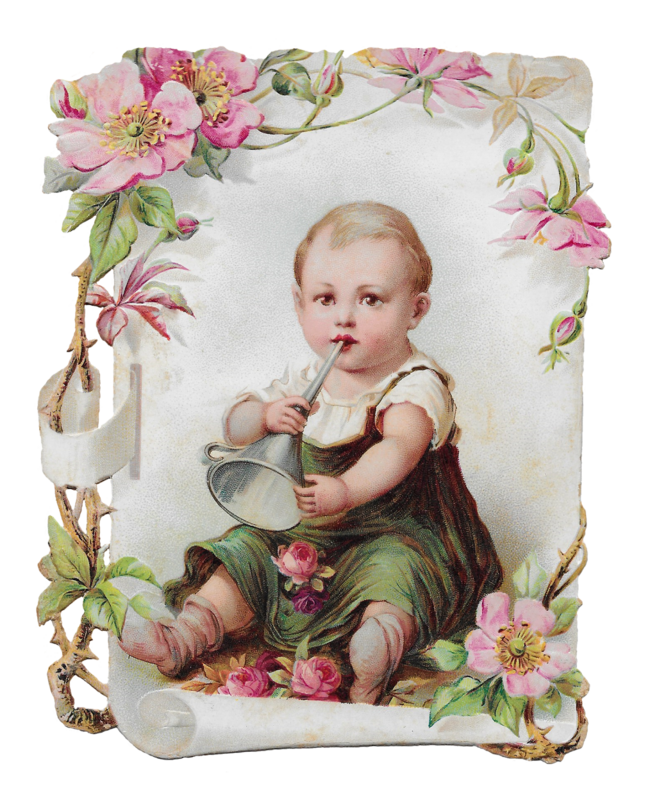 On invitations, birth announcements, gift tags, or greeting cards, this vintage baby image would be so amazingly adorable!